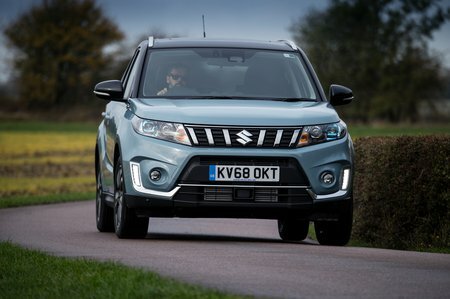 Suzuki Vitara SZ5 Review and Deals 2019 | What Car? SZ5 models, available with only the 1.4-litre engine, get lots of upmarket upgrades, including adaptive cruise control, panoramic sunroof, 17in alloy wheels and front and rear parking sensors. It also gets the raft of safety kit, including automatic emergency braking, lane departure warning, blindspot monitoring and cross traffic alert.